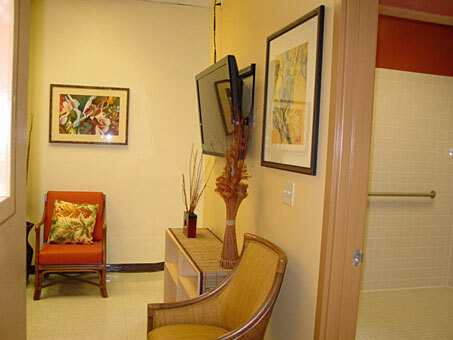 Honolulu, Hawaii — Maluhia dedicated a newly renovated family room to Dr. Clifford B.G. Chang as part of its Doctor’s Day celebration at 10:00 a.m. today. The new room provides a comfortable place for family members and friends to visit at the Alewa Heights nursing home. 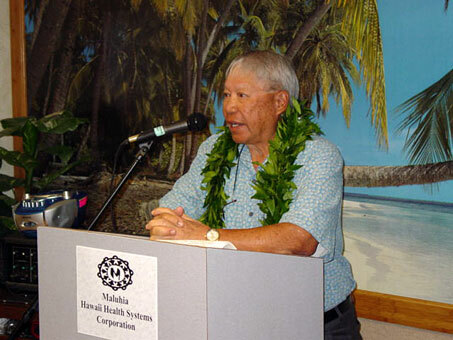 Dr. Chang, a retired physician served as Maluhia’s medical director, 1995-2005, and general surgeon, 1964-1994. He spoke during the ceremony about the importance of family visits for patients in a nursing home. “This is a chance for us to recognize the outstanding and caring community partners that our nursing home has been privileged to have a great reason to celebrate this on-going collaborative effort to continuously improve long-term care,” said Vincent Lee, Maluhia chief executive officer.